How Is a Facial Fat Transfer Performed? A facial fat transfer is a facial rejuvenation procedure unlike any other. A typical facial fat transfer is performed as an outpatient procedure, and it involves the use of an individual’s own fat. This reduces the risk of an allergic reaction or rejection of body tissue and helps facial fat grafting results last longer than those associated with injectable treatments. During a facial fat transfer procedure, fat is removed from a donor site elsewhere on their body via a small incision. Then, the fat is cleansed, concentrated and injected into the requested area of the face. Dr. Babak Azizzadeh of the CENTER for Advanced Facial Plastic Surgery is a world-renowned facial paralysis and reconstructive surgeon who understands all aspects of facial fat transfer procedures. He is highly sought-after for his facial plastic and reconstructive surgery expertise and takes a holistic approach to patient treatments. This approach ensures a patient will receive the best possible support during a facial fat transfer or any other facial plastic and reconstructive procedure. To determine if an individual is a candidate for a facial fat transfer, Dr. Azizzadeh requires a one-on-one consultation. At this time, Dr. Azizzadeh meets with a patient and learns about his or her treatment goals. Dr. Azizzadeh also reviews a patient’s medical history to find out if there are any risk factors that may impact treatment results. This enables Dr. Azizzadeh to develop a custom treatment plan to help a patient achieve his or her desired facial rejuvenation results. It often takes a few months for a patient to fully recover from a facial fat transfer procedure. Following surgery, a patient will need to keep his or her head elevated for three to five days. Antibiotic ointment may be required as well; this ointment can be applied to a patient’s surgical incisions to reduce the risk of infection. Additionally, a patient may experience mild pain in the days following a facial fat transfer. This pain usually subsides on its own within a few days of treatment. In some instances, oral medications may be prescribed to help patients alleviate pain. Swelling can last up to three months after facial fat grafting. 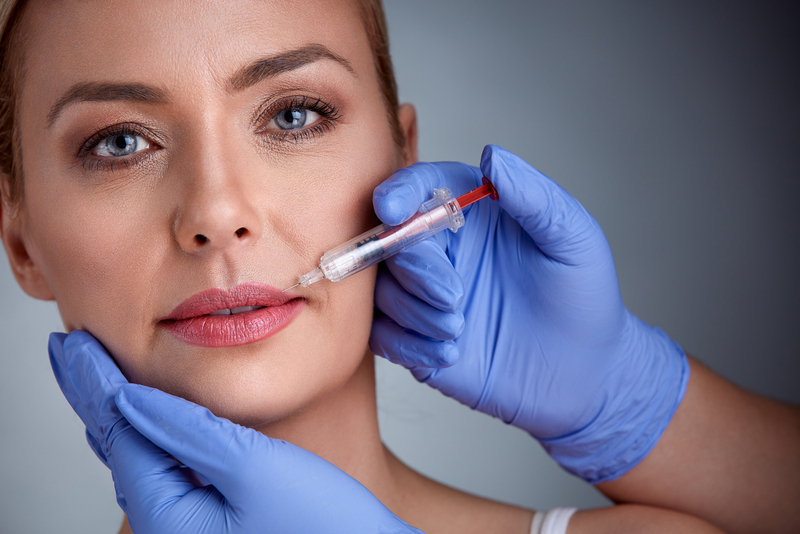 Sometimes, patients experience numbness at injection sites up to six months after a facial fat transfer surgery. It takes about six months for the blood supply in facial fat grafts to grow. Therefore, within about six months of a facial fat transfer, a patient’s facial fat grafts should have sufficient blood supply that enables the fat cells to become more full. This process continues for about 12 to 18 months following surgery, resulting in a natural-looking and revitalized facial appearance. Meanwhile, fat grafts become a permanent part of a patient’s face, and they are subject to natural factors like weight changes and the aging process. Dr. Azizzadeh is happy to teach individuals about facial fat transfer and other facial rejuvenation treatments. To find out more, please contact us today at 310-657-2203 to schedule a consultation with Dr. Azizzadeh.